South West Podiatry with its close transport links to Tooting and Balham are capable of solving your foot pain. Our team has spent years perfecting the treatment of plantar and posterior heel pain, the treatment of plantar fasciitis and of course the treatment of metatarsalgia. There are many differential diagnosis or plantar and posterior heel pain such as plantar fasciitis, achilles tendonopathy and fat pad syndrome. Call now on 020 7164 6607 to book a New Patient assessment. Heywards Heath Triathlon: http://www.hedgehogtri.co.uk/web/hedgehogtri/ardingly.html Apparently the cycle leg on this event is up and down all the way, So it might be time to do some more training around Richmond Park! Tough Mudder: http://toughmudder.co.uk/ Simon has never done anything like this before. He has run the London Marathon and undertaken the London Triathlon many times but nothing like this before. The website says you will be electrocuted and have to climb in bins of ice which doesn’t sound very nice at all. There are so many events in and around London for anyone to get involved with. From 500m charity runs all the way to the London Marathon. So many of our patients develop some injury which can easily be prevented or resolved allowing them to get back into training and finish the event they started. If you have a running injury or cycling injury please get in contact with us and we can help you back on the road. Ps. If you see Simon running the roads of Wandsworth or Surrey please say hi. Our Senior Podiatrist, Simon Adam, was recently invited as a guest lecturer to the University of East London to teach the students about knee, hip and lower back pain and how podiatry is able to treat these conditions. Podiatry is essential in the management of knee pains such as iliotibial band syndrome (ITB), anterior knee pain, patellofemoral joint syndrome and runner’s knee. Simon has spend years treating paints with knee and lower back pain using insoles, orthotics and the latest podiatry treatment modalities. Our clinic in Earlsfield, Wandsworth is equipped with the latest podiatry treatment and diagnosistic investigations as well as working closely with the physiotherapy team of ProPhysiotehrapy. We regularly treat patients who have completed the London Marathon and have done a large proportion of their training around Wimbledon, Richmond Park, Tooting and as far out as Surrey. To read more about our treatment options or our staff who perform these treatments please clinic on the links. 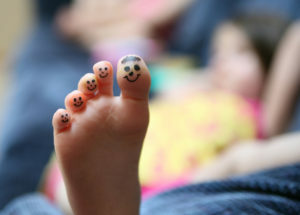 We look forward to seeing you, and your feet, at South West Podiatry. Routine Podiatry or chiropody is a branch of podiatry which focuses on routine foot heath. chiropody is undertaken by qualified and HCPC registered Podiatrists in Wimbledon and Earlsfield. South West Podiatry has built a reputation for being a leading Podiatric centre in the Wandsworth and Wimbledon areas. Our team specialise in running injuries especially those affecting the lower limb such as runners knee or shin splints. We provide effective evidence based treatments such as foot mobilisation, manipulation and custom made foot orthotics. Podiatrists complete infra red pressure analysis, gait assessments and biomechanical examinations to provide clients with the latest technology to improve pain and reduce injury. Our Wandsworth Chiropody service is undertaken by HCPC registered Podiatrists, so you know you are in good hands. We have two clinics available, Wimbledon and Earlsfield. Our clinic based in Earlsfield is within easy reach of wandsworth and battersea. The Wimbledon clinic is a 30 second walk from Wimbledon station. If you have any questions please feel free to contact us to discuss you foot problems. Our new website is up and running. We hope the new website provides the local community of Wandsworth and Lambeth an easy to access resource on foot pain and how Podiatry might be able to help. Our service section aims to highlight some of the more common foot conditions treated by our podiatrists in London. Topics such as Plantar fasciitis and Heel pain are the more popular pages however it is also the lesser known conditions such as how podiatry can help with your knee pain, or what is a gait analysis? We are always after new topics, so if there is a foot condition or problem you would like to know more about get in touch with us and we will make it happen. Filmed at our Podiatry clinic in Ealrsfield, South London, see our new information videos on foot and ankle pain. We aim to show you what to expect from an initial assessment including gait analysis and insoles based around the Wandsworth area including Balham and Clapham. If you have any questions about your heel pain or bunions and you live in the Tooting, Balham or Clapham areas of South London then give us a call at South West Podiatry to have your foot and leg pains looked at. South West Podiatry is registered with most UK insurance providers and as such most of your private medical expenses will be covered at South West Podiatry in Earlsfield. Our Podiatry team is covered with all major UK insurance providers and as such, your cost will often be covered. This includes the cost of your consultation, any investigations that are required and often your treatment. Some insurance providers will not pay for insoles (shoe inserts) however this will be discussed with you prior to any treatment commencing. Bupa, Aviva, PruHealth, WPA, Cigna all provided insurance cover for Podiatry and your foot problem at South West Podiatry.